Huffman Builders is a build-to-suit developer, providing turnkey real estate development, design, and construction services. We specialize in custom healthcare facilities and professional projects. 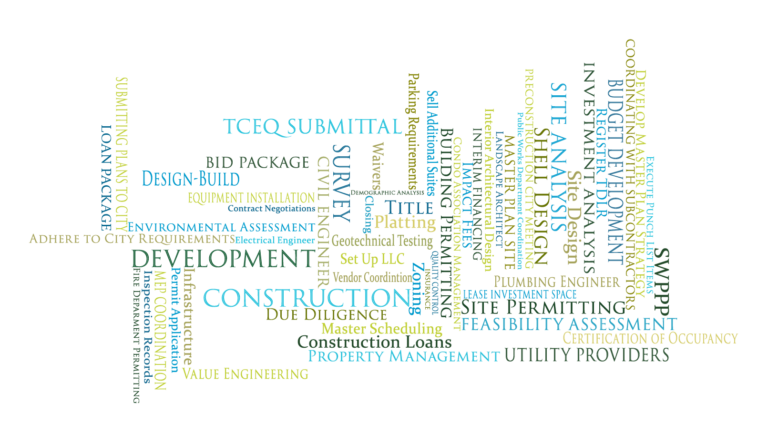 Single source for site selection, contract negotiations, site engineering, design, value engineering, cost tracking, and project management, before and during construction. Real Estate “outsourcing.” Whether it’s one location or an entire portfolio, Huffman can free your company resources by managing all aspects of your location needs. Flexible financing and ownership strategies. Huffman can finance your project until you’re ready to occupy, and help you own or lease your custom facility for less than you might expect. Right-Sized Development. As is often needed, Huffman finds other professionals to share in the project, and in turn, the total cost, which means you only pay for the land and infrastructure needed for your facility.